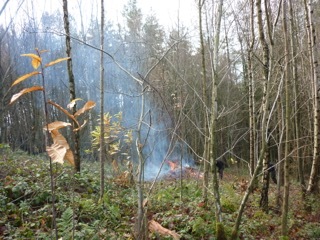 The team had a good day on May Hill clearing and burning most of the final debris cut by contractors in the summer. The sun came out eventually which was much appreciated! Looking through the trees which are now around a new glade. 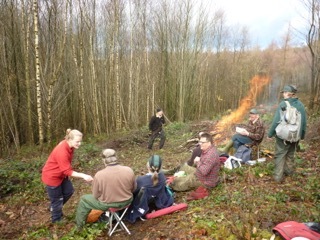 Our NT Ranger had baked us a scrumptious ginger cake. 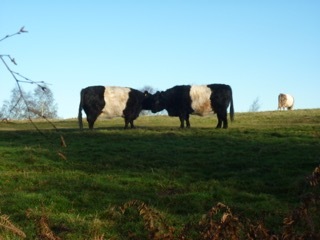 The Belted Galloways were grazing the open part of the hill and they were looking very fat and woolly! !